It’s been a little over ten years since Andrea Yates was found insane and I wrote about the verdict. It continues to be a sad end to a sad case. A Harris County jury has found Andrea Yates not guilty by reason of insanity during her second capital murder trial for the drowning deaths of her children in the family’s bathtub in 2001. The restrictive, outdated Texas statute under which Yates twice was tried requires juries to find defendants guilty if they knew the difference between right and wrong, even if they are mentally ill. The second jury’s verdict of not guilty by reason of insanity reflects the jurors’ reasonable conclusion that the psychotic delusions that led Yates to believe she was saving her children by killing them prevented her from making rational judgments. Defense attorneys [were] trying to convince a jury that Yates was insane when she killed the children. Prosecutors [said] Yates, although mentally ill, knew right from wrong. When is someone just sane enough to know right from wrong but just insane enough to kill 5 children? It’s a retorical question, and the retorical answer is never. I would be willing to bet that the vast majority of people living today know that killing another human being is (morally, legally, mentally…) wrong. 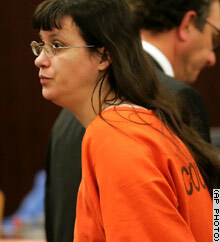 Defense attorneys are trying to convince a jury that Yates was insane when she killed the children. Prosecutors say Yates, although mentally ill, knew right from wrong. Like clock work they started her new trial. 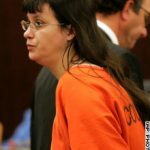 mental illness and the insanity defense made for lively discussion – 12 jurors and three alternates were chosen to decide whether Yates knew right from wrong when she drowned her five children in a bathtub at her Clear Lake-area home five years ago. Testimony will begin at 9:30 a.m. Monday and is expected to last four to five weeks. Image source: http://www.boston.com/ and AP Photo/Brett Coomer, Pool. 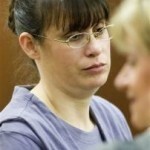 Jury selection was scheduled to begin Monday, March 20, 2006, in Andrea Yates’ retrial. District Judge Belinda Hill delayed the start of trial until June 22 because expert witnesses for her defence were not available in March.